There was a time when American sitcoms like Friends ruled the day, evening and nights. These ran for series after series and attracted millions of viewers. Even today, you can catch a re-run on one channel or another. But as we moved in to the twenty-first century and global television became a phenomenon beyond imagination compared to its ancestors that were called “idiot box”es, the TV shows have grown dramatically as well. TV producers are now pouring huge amount of money in developing new ideas with a hope to create a show which will captivate the viewers and generate long-term payback. The current focus of global television producers is on a relatively younger mass of population that does not feel like watching a family drama. With the dose of their fiction books, multimedia gaming experiences and digital “must-have”s, it takes something para-human to attract them to television. That leaves only two choices open: Mythology and science fiction. Even better, if you can blend the two like Thor showing up on the Avengers team, and reviving popular superheroes is always a safe bet. This season the American television is playing host to quite a few dramas that fall in this genre: Arrow II, Marvel’s agents of SHIELD, Flash and very interestingly “Gotham“. Purchase Link(s) : Not Available Yet! After the super successful Batman trilogy by Christopher Nolan, there is a huge fan following already around. 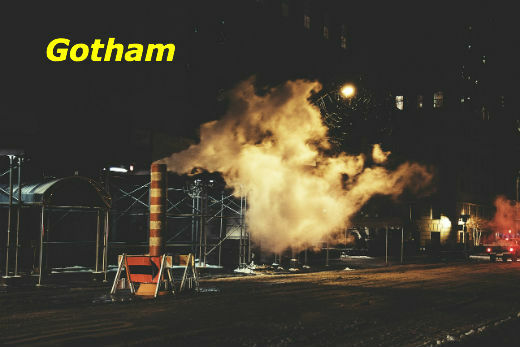 “Gotham” is developed to elaborate the ideas from the trilogy and tell the story of James Gordon, a detective who appeared to be the only good guy in the Gotham police force when you watched the movies and the background stories of Penguin, Joker, Riddler, Catwoman, Posion ivy, Hugo Strange, Harvey Dent etc. We have watched first three episodes of the series and so far, like it. Here is a synopsis for you. In the first episode aired on September 22, 2014, the story starts as it has always started, with the murder of Bruce’s parents. We meet young James Gordon, who has just joined the police force and is teamed with a senior detective Harvey Bullock. While working on the Wayne murder case, he slowly discovers Gotham underworld that includes Fish Mooney and Carmine Falcone. He learns that his partner Harvey Bullock is hugely involved with the mafia and that the lines between the police department and the Gotham gangs are quite blurred, so much so that it’s hard to tell who is not on Falcone’s payroll. On a tip, James and Harvey corner the main suspect for the murder called Mario Pepper, who gets killed in the encounter with the cops. Soon, James learns that Mario was framed. Gordon goes to interrogate Fish Mooney whose thugs hang him in the slaughterhouse. He is saved by Flacone himself, but Fish takes her rage out on a gang member who tipped police about the oncoming war between Flacone and rest of the underworld. Harvey forces James to kill this gang-member aka Penguin. In his first real struggle with the good v/s evil thrown in his face, Gordon choses to let Penguin go alive, without letting Harvey know. Harvey thinks Gordon has killed the Penguin. Gordon visits Bruce and tells him the truth about Mario Pepper and promises to find the real killer. In Episode 2, it is life as usual in Gotham. James and Harvey are pursuing a racket of child abduction and trafficing, the front-post being the Mayor’s Homeless Outreach Program. The cops successfully break the ring, but the thugs re-capture the kids when on way to foster homes. When the Waynes were killed, there was an eye-witness, a girl who was hanging about in the street. No one knows about her yet, but she is part of the homeless children on the bus. After exciting chases, James Gordon finally gets the bad guys. Bruce promises to help the children, but meanwhile the girl talks to Gordon about what she saw on the night when the Waynes were murdered. In Episode 3, we meet the Balloonman. He is a common man who is fighting the battle against corruption on his own terms. He selects a corrupt beuraucrat and ties him to a weather ballon and lets the balloon go. James Gordon and Harvey Bullock are now put on this case. Meanwhile the Penguin makes it back to the city to run vendetta against Fish Mooney. He finds a job with a rival mafia Maroni. After the Baloonman has got to a rich con man Ronald Danzer, corrupt GCPD member Lt Bill Cranston and cardinal Quinn, Gordon is hot on the scent and they finally encounter Davis Lamond. Davis tells them all about it, the crimes of his victims and why he chose to take the fight in his own hands after the street kids were driven to prison. Convinced that his motives were good, Gordon saves Davis from Harvey Bullock. Once again we have an interesting debate between the ‘young and white’ and ‘old and grey’ detectives about morales. James Gordon goes home, but surprise surprise, the Penguin is paying a visit. Why? Wait for Episode 4. And a spoiler alert: It’s pretty brutal, so not recommended for the faint-hearted…..
Do let us know your thoughts about this TV Show and/or this article. Also do not forget to share this article with your friends over various social networks via Twitter, Facebook, Google Plus and others. And yes, you may like to subscribe to our RSS feeds and follow us on various Social networks to get latest updates for the site to land right in your mail box.